As the winter draws closer so does the prospect of higher energy bills. As the temperature drops we have a tendency to crank up the thermostat, switch on the electric blanket and even use cookers more often for hot meals. So with these inevitable rises in energy use, is there anything that you can be doing to reduce your electricity and gas bills in other ways. The truth is that there are actually lots of things that almost anyone can do to save money over the winter and all year round. Here are six great tips you can start using at home today. Probably the most important factor in how much you spend your energy bills is whether you are getting a good deal from your supplier. You may have been with your energy supplier for a number of years – citing convenience as the reason. But loyalty with energy suppliers is generally ‘rewarded’ with higher rates. It is likely that you will have started on a special introductory rate for a year, before moving onto the more expensive standard tariff. Thankfully it has never been easier to switch your energy supplier and this can be done on a regular basis to ensure that you are always on favourable rates. Are you currently on a pre-payment energy meter? 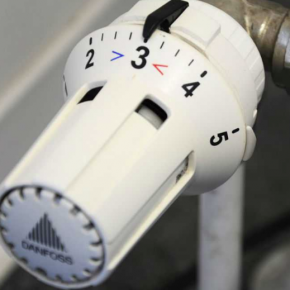 These meters are available for both electricity and gas and many homebuyers move into a new property to find that it has a meter that is topped up with an energy key. Once again due to convenience homeowners choose to stick with prepayment meters when it could actually be hugely beneficial for them to switch to a standard meter. 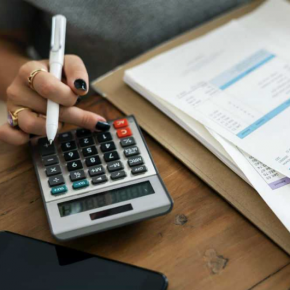 In fact, it has been estimated that households with prepayment meters tend to pay an average of £226 more than the cheapest available direct debit tariff. You might be surprised at what a difference your lightbulbs can make to your overall energy bill. New energy-saving bulbs are far more efficient and last for longer than the older style, and the price is usually very similar. This means there’s no reason to avoid making the switch. Using just one energy saving lightbulb is estimated to save you £55 over the lifetime of that bulb. It is no surprise that turning down your heating will actually do a world of good for your energy bills. For example, reducing your thermostat by just 1°C can save you as much as £60 per year. This can be achieved by simply preparing for the cold weather – wearing jumpers, an extra pair of socks and slippers around the house help you to deal with the temperature change. There are plenty of ways that you can become more energy efficient in the home. Of course, changing the light bulbs (as mentioned above) is a great start, but there are also many small changes that you can make that will add up to a big difference. For example, something as simple as only boiling as much water as you need in the kettle can save a surprising amount of energy across the year. It is also worth looking into energy saving investments for your home. You don’t necessarily need to go as far as having solar panels installed – it can do a lot of good simply to purchase draught excluders or adding insulation to your walls. The massive majority of the energy that a washing machine uses comes in heating the water to the set temperature. So you can hugely reduce the amount of energy you use simply by washing on a lower heat setting. Whilst you’re at it, there may also be ways that you can reduce the amount you use your washing machine or your dryer. For example, if you hang up your laundry rather than putting it in the tumble dryer you can save a great deal of energy. It can also make your clothes easier to iron, which can save your iron the energy.